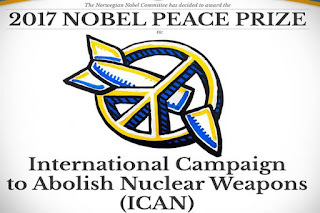 Nobel Peace Prize 2017 Winner: International Campaign to Abolish Nuclear Weapons (ICAN), a coalition of non-governmental organisations from over 100 countries around the globe with its headquarters in Geneva (Switzerland), has been awarded the 2017 Nobel Peace Prize. This was announced by the Nobel Prize committee on 6 October 2017. According to the prize committee ICAN has been the leading civil society actor in the effort to achieve a prohibition of nuclear weapons under international law. It was chosen for this prestigious award for its work to draw attention to the catastrophic humanitarian consequences of any use of nuclear weapons and for its ground-breaking efforts to achieve a treaty-based prohibition of such weapons. 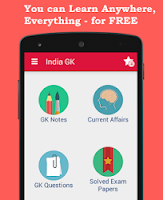 ICAN describes itself as a coalition of grass roots non-government groups in more than 100 nations. It began in Australia and was officially launched in Vienna in 2007. It is presently led by Beatrice Fihn.